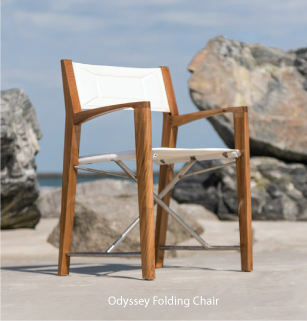 Fixed, non-folding Teak Chairs for Outdoor Patios from Westminster Teak. Known for extreme durability in all weather conditions, a finely sanded finish and refined luxury. Suitable for indoor, outdoor, residential, commercial and marine use. Quality Rated "Best Overall" by the Wall Street Journal. Earlier this year we purchased a teak table and six teak chairs from you and have been very pleased with your product.